Many videos are also attached to these homepage stories. 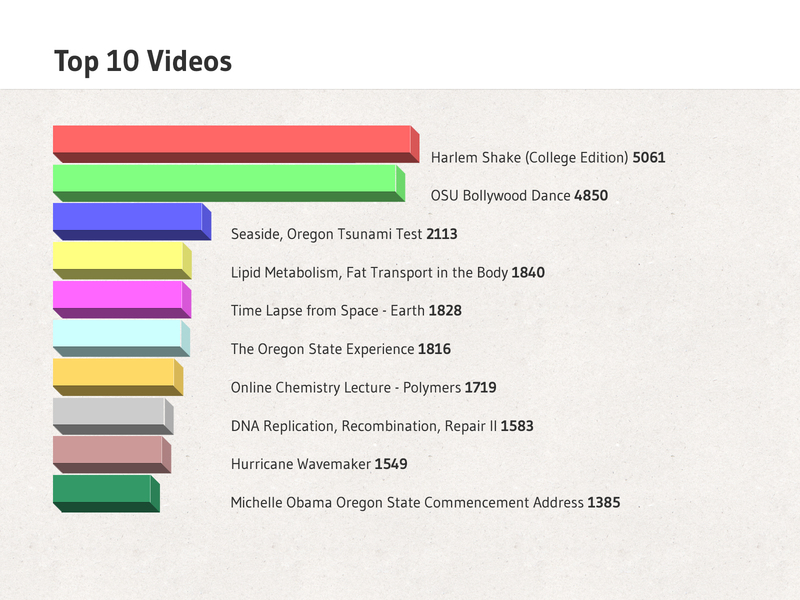 Here’s a look at the analytics from the most popular videos on our YouTube channel currently. The takeaway: people like dancing. People also like research and scientific things …just not as much. I’m from Brazil and my dream is to study and live in the U.S. I’ve been searching and comparing some universities, and after reading about it and know a little about the university, I had no more doubts… My choice is Oregon State, and I’m already starting to get ready to try my admission for 2014! 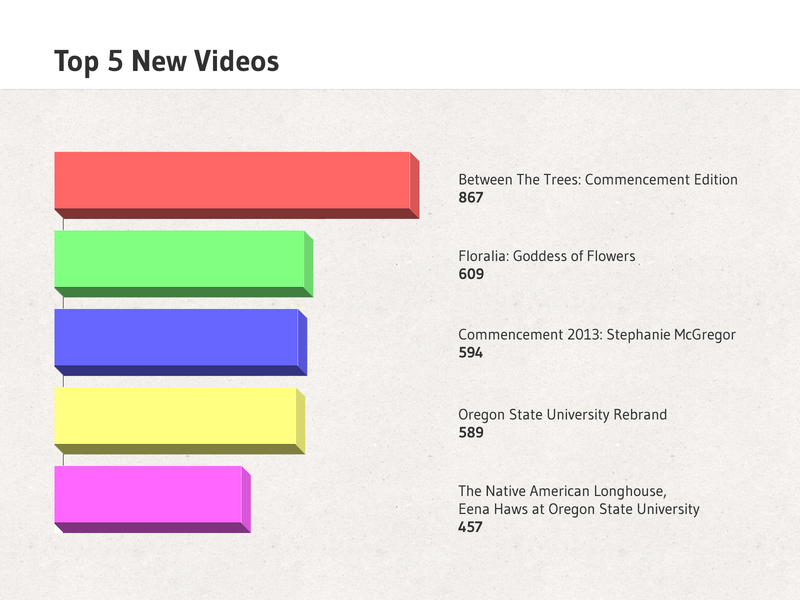 The takeaway: Between The Trees was an experimental video we produced during commencement, and it’s gotten a good amount of traffic. Maybe experimentation is good. 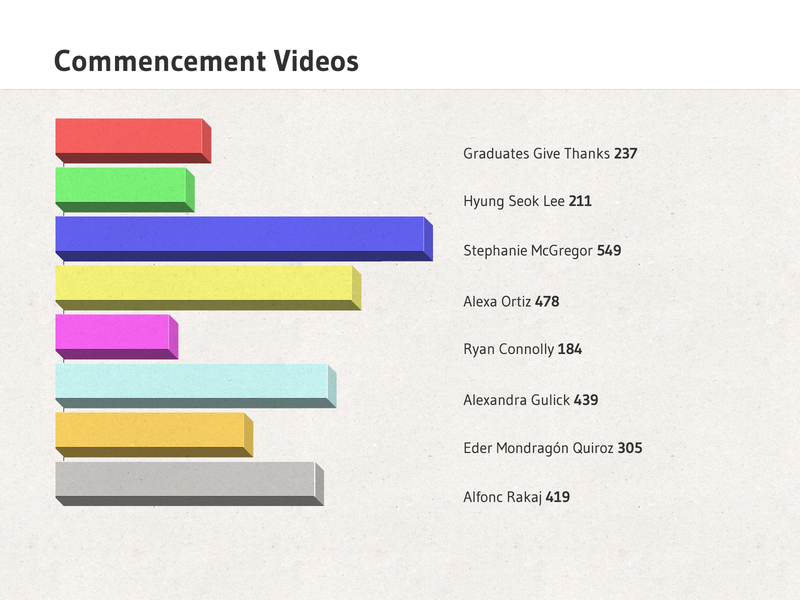 It also makes sense that a popular athlete, Stephanie McGregor, got the most views of any of our commencement videos. Eder came from a Hispanic family in the Dales & excelled at OSU. He hopes to go on to serve other communities in need of bi-cultural leadership. Hyung also brought us the international angle. He talked about the INTO Program since he’s part of their first graduating class (the program has been around at OSU for 4 years now). He talked about his transition from being a below average student in South Korea to excelling at OSU. The takeaway: Again, cute gymnasts get lots of views! 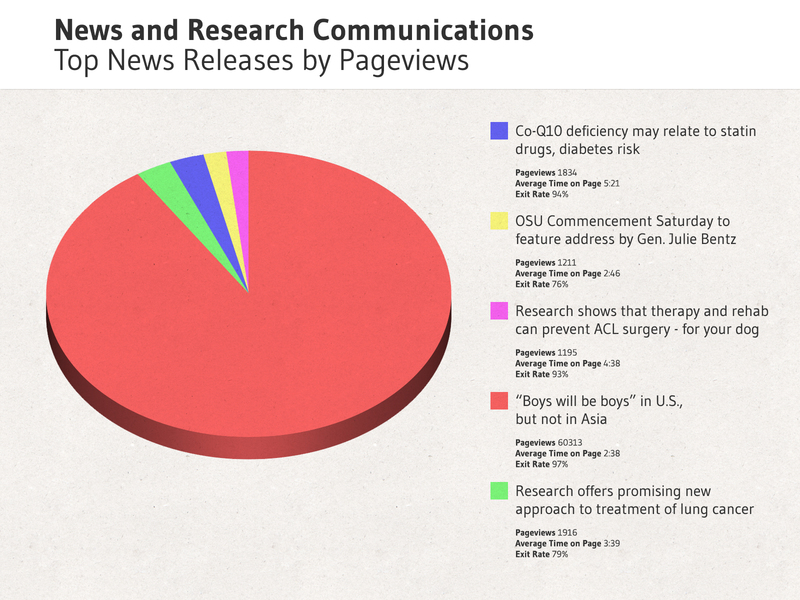 News & Research Communications is another area of interest. Here’s the data from May 15-July 1. The takeaway: The “Boys will be boys” release was picked up by a variety of high-profile sources, which accounts for the major jump in views. 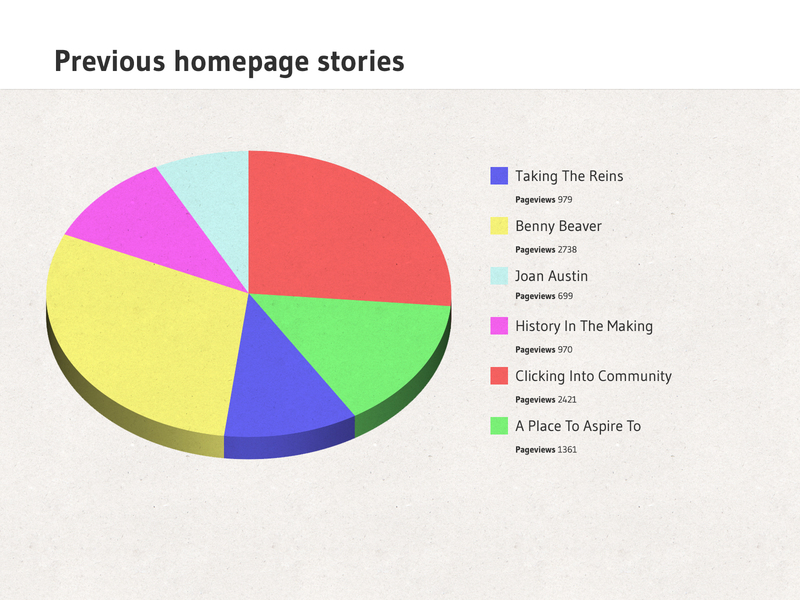 Pageviews are generally strong for research-based news content. We’ll keep these running regularly from here on out! Thanks for reading! What’s up, after reading this amazing paragraph i am also delighted to share my experience here with friends.